VIA rail fading away slowly. KAMLOOPS, JUNE 27, 2012 – Matthew Buchanan, president of the public transportation users and advocacy group, Transport Action BC, said that today’s announcement of yet more cuts to Canada’s nationwide rail passenger service is wrong and inexplicable given this federal government’s recent investment of $923 million in a renewal of VIA Rail Canada’s trains, stations and other assets. “While the rest of the G20 nations invest heavily and wisely in expanding their rail passenger services, Canada’s longstanding policy of cutting VIA continues,” said Buchanan. In 2009, VIA began receiving $923 million for the largest capital renewal program in its 35-year history. Transport Action BC applauded that wise decision, especially the leadership role played by Finance Minister Jim Flaherty and Minister of Foreign Affairs John Baird, who are strong supporters of public transportation, in general, and VIA, in particular. Some of the investments in that capital renewal package are now being undermined by cuts to the very trains they were meant to benefit. Respected sources, such as the U.S. Department of Commerce, have determined that every dollar invested in rail projects yields three to four dollars of economic spin-off, not to mention vast social and environmental benefits. Furthermore, VIA’s public funding for its national network of passenger trains costs the average taxpayer only $1.60 per month – less than the cost of a large cup of coffee. 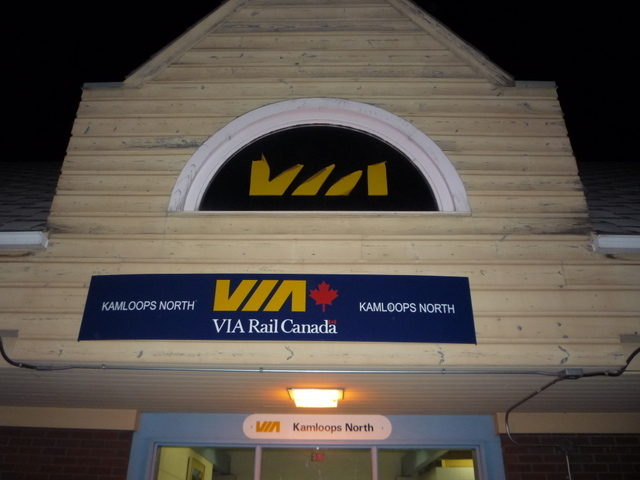 Deeper cuts will occur next year and in 2014, as VIA’s operating budget is reduced further.